Tequila titan Rande Gerber shares the secret to their success, minus the celebrity status. Rande Gerber and George Clooney could have reached for the easy A. They could have cashed in on Clooney’s fame and named their private label tequila after the handsome megastar. But they did not. Instead of phoning it in, they named their small-batch distilled spirits Casamigos, Spanish for “house of friends.” After all, they are best friends, they love tequila and they built twin houses next to each other in Mexico. 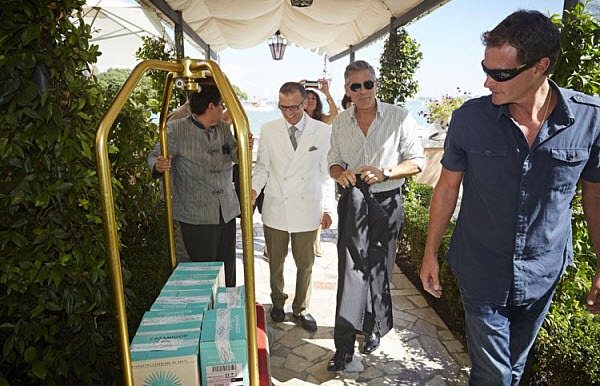 For the first two years, Casamigos existed only as Clooney and Gerber’s private house tequila, served exclusively amongst friends and family. Of course, it was also predictably passed around between more high-powered celebrities than we could list here, and it still is. With that reality check—and a slick pitch on the part of the Jalisco, Mexico-based distiller—the Manhasset, New York and Malibu, California-based company Casamigos Tequila was born. That was back in 2013. 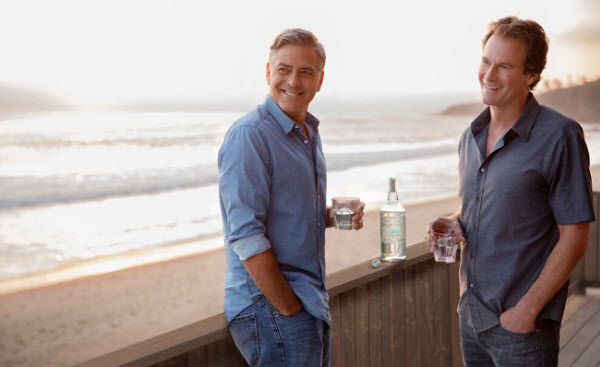 The old pals and co-founders have since sold their matching mansions to a Mexican billionaire, but their friendship and their private-label aged tequila business is still going strong, no lime or salt chaser needed (or so Clooney and Gerber claims). “You’ll get the maximum potential out of everyone on your team when you create harmony, when you treat each employee well. Everyone’s really well trained and we treat them with respect and the way people should be treated. It’s very rare that anyone leaves us as a result, despite people trying to come and hire our employees,” Gerber said. One of the companies that thrive in open offices is Gerber’s, with matching ping pong and bar too. “I don’t have my own office. We have a big loft space, so everyone works out in the open, myself included. We sit and work together, on couches, at coffee tables. We shoot pool. You can play ping pong or use the bar at the office. People come and go as they please and we tend to get a lot more work done because of the laid-back atmosphere. There’s a lot more collaboration happening and it’s nice to be a part of it, not in some corner office away from everyone. Everyone in the company has my number, Michael’s number and George’s number, and they know they can call anyone at any time,” Gerber said. From parties to people right out of college, Gerber values personality more than the experience a job applicant offers. “Most of our employees have never been in the liquor business, but they’re so passionate about our product, they love it, and some of them have come to us, requesting interviews, and I like that hustle,” he said. Having the humility to admit what you know and do not know can mean better business and Gerber knows it. “Before getting into Casamigo, I knew the liquor business from the other side. I knew when we got the right sample of the tequila that that was perfect for us. But I had to learn the business and I had to hire a liquor importer who could show me the way, pros who created Gray Goose and Jägermeister. I ended up hiring him as CEO of Casamigos Importing,” he said. “We might have someone who graduated from the University of Southern California and their degree is marketing, but they want to get into development or sales; we’re happy to give that person a shot at whatever their passion is. Even when you hire someone for a specific job, leave it open for them, and if they’re better or more excited about doing something else for you, let them,” he said. Even with the best advertising campaign, the market knows when the company fakes it. “It’s not about who has the most beautiful bottle or marketing. The product within the bottle, or whichever product or service you’re putting out there, has to be great. The quality has to shine through and people who sell it have to really believe in it and be authentically passionate about it. Otherwise, it’s hard to believe the brand story and it doesn’t work. Don’t be a nameless, faceless company that has no authenticity. People can feel that,” he added. “What do you have to lose? You only lose if you don’t try something. You’ll be filled with regret, think about it constantly and think ‘What if?’ Try different things and, if it doesn’t work out, then try something else. Follow what you love in business and life. It may not work out, but get up and try again. Never stop trying,” he said.